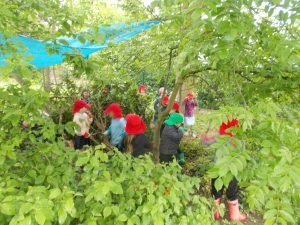 Renishaw Primary School has introduced an Outdoor & Woodland Learning Project. 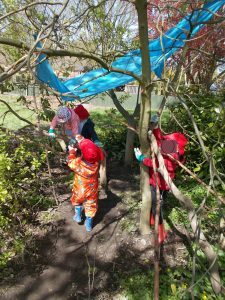 Groups of Reception and Nursery children are taken into the school grounds and wildlife area to take part in ‘Forest School’ type activities. This takes place on alternate Thursdays. 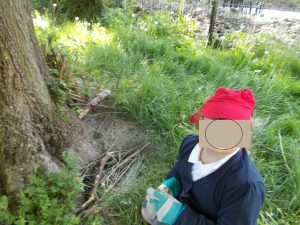 The children use the natural materials available to enhance their learning and to develop practical and problem solving skills, which are linked to the EYFS curriculum. 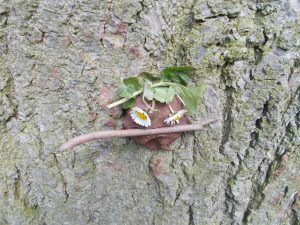 The children are encouraged to respect and care for the natural environment and there are a wide range of opportunities for children to talk and extend their range of vocabulary. The children use information books for a specific purpose and to explore new vocabulary within a meaningful context. 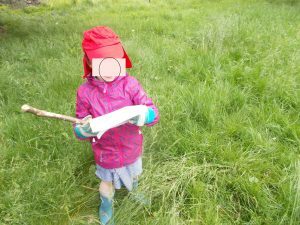 The activities offered also help to develop gross and fine motor skills and children learn how to assess risk and ensure personal safety. 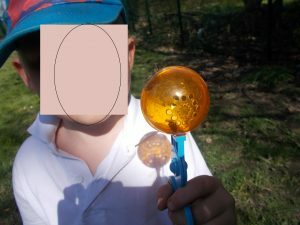 Children have the opportunity to explore and share their thoughts, feelings and ideas through art, design and technology, Maths, music, movement and role-play. 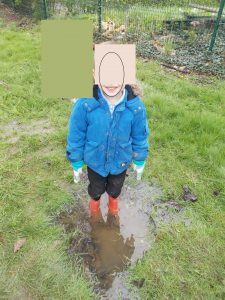 We love jumping in muddy puddles! Reading a map designed by another child in order to find buried treasure. 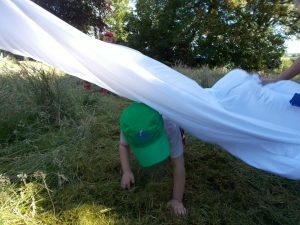 We’re Going on a Bear Hunt through the swirling, whirling snowstorm! 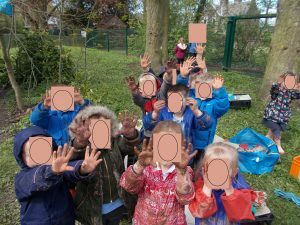 Making the clay tree spirits was messy work! Climbing the ‘rigging’ on our ‘pirate ship’. 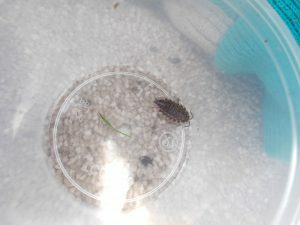 We studied a woodlouse and found out all about it in our information books.